Home Campaigns, Open Letters and News Alerts Azerbaijan: #FreeIlkin! International Partnership for Human Rights (IPHR) has launched a new campaign in support of political prisoner Ilkin Rustamzada in Azerbaijan. We invite you to take part in this campaign and support our call for his release! Ilkin Rustamzada, a youth activist has been imprisoned for exercising his rights to freedom of expression, association and assembly. He was subjected to pressure by authorities after using Facebook to mobilize participants for several well-attended, peaceful rallies that were held in downtown Baku in early 2013 under the slogan “No more soldier deaths”. The purpose of these rallies was to protest against hazing and non-combatant deaths in the army. Ilkin Rustamzada was first sentenced to administrative detention for being involved in protests that had not been sanctioned by authorities. However, there was more to come: in May 2013, he was arrested on criminal charges of organizing mass riots and hooliganism and a year later, he was convicted along with seven other youth activists and sentenced to eight years in prison. While the other activists with whom Ilkin Rustamzada was on trial have all been released by now, he remains behind bars – in retaliation for speaking out against violence and suspicious deaths in the army. He is one of dozens of political prisoners who have yet to be released in Azerbaijan. 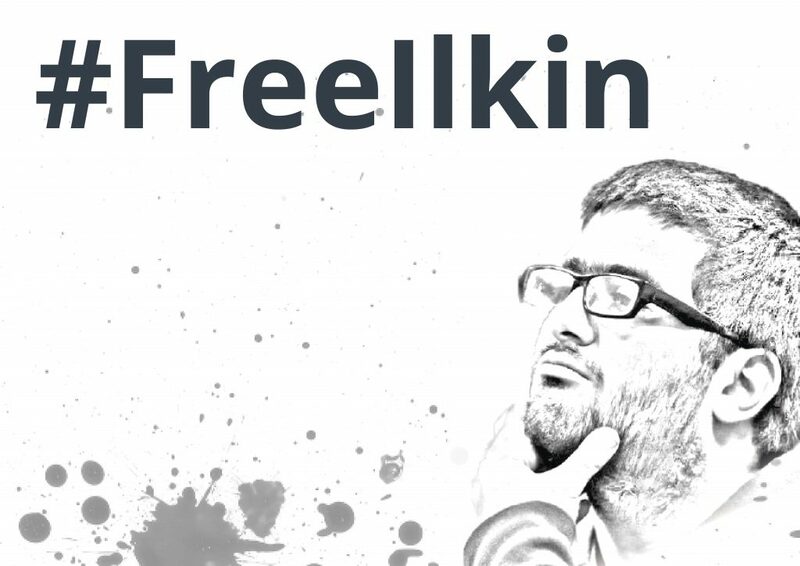 We have initiated the #FreeIlkin campaign to spotlight the case of Ilkin Rustamzada at the international level, mobilize support for his release and encourage international institutions and Azerbaijan’s international partners to take action to help end his wrongful imprisonment. Watching, liking and sharing our video on the case against Ilkin (see below). Signing up to our online appeal calling for Ilkin’s release (the appeal with all signatures will be sent to relevant Azerbaijani authorities at the end of the campaign). Helping us spread the word about Ilkin’s case on social media, using the hashtags #FreeIlkin, #IlkinRustamzada, #Azerbaijan and #politicalprisoners. Joining forces with us on advocacy and urging international institutions and Azerbaijan’s international partners, in particular EU, Council of Europe and OSCE institutions and states to pressure Azerbaijan to release Ilkin. #Azerbaijan: Youth activist Ilkin Rustamzada was imprisoned for organizing rallies through social media. #FreeIlkin! There can be no real progress in #Azerbaijan until all political prisoners have been released. Join our call to #FreeIlkin! #IlkinRustamzada was imprisoned for mobilizing protests against violence in the army through social media. He should be released now! If #Azerbaijan wants closer ties with Europe, it must stop imprisoning government critics! #FreeIlkin!